Attracting, recruiting, hiring, and fostering top talent is no easy task…especially in a candidate’s job market. But when you’re spending more than the optimal amount of time on compliance, employee engagement and employee development can suffer. That’s why we’ve distilled 7 best practices for how you can effectively manage safety in your business. That way, you can cultivate a culture of safety while staying just as focused on developing talent. The best way to efficiently manage and access all safety activity across your company is to have it all in one place. That centralized platform should also include training records, SDS Sheets, and instructions. You can and should even upload historical claims and activities to meet OSHA compliance standards. Having these up-to-date forms all in one place can save you hours of time throughout the year. Plus, it will cut down on the headaches when you need specific information quickly. To protect your safety culture and to really develop your talent, you need to be able to take advantage of talent data related to safety (and other company values, too). Acting on this form of “fast data” will let you identify trends, show the ROI of all your investments, and it can help you improve employee engagement. If you don’t already have that capacity, consider making the investment in a platform that will give you safety data to power your action plans. 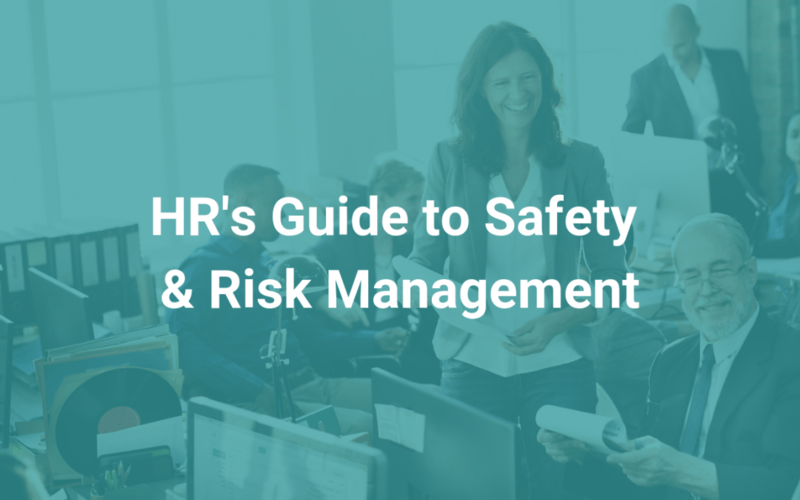 Often times, we see an HR Director in a position where they are totally unable to positively impact the claims process because they’ve been notified more than 24 hours after an incident has occurred. A system like iReport changes this, and makes it easier to report each and every incident. This better way of incident reporting impacts workers’ comp claims, and ultimately can reduce the impact of workers’ comp costs. It also ensures compliance with OSHA regulation. Last but not least, that data can be used to draw conclusions so you can improve safety processes, training relevance, and more. Don’t forget the importance of worker input when it comes to safety (and in meeting compliance standards). Be sure you enable and equip workers to report hazards, safety suggestions, near misses, and even incident reports. In iReportSource, all your workers will have the tools necessary to capture key data through required forms. The app will guide them through everything they should be collecting. They can and will often collect video, images, and audio—all following OSHA reporting for workers’ comp claims. They should be able to do this from any device, too. Giving them this kind of mobility from the field (or simply in the office) will reduce total time from incident to resolution. Do what you can to keep record-keeping as “low-touch” as possible. After all, if you can cut down on duplicate data entry, why wouldn’t you? Use a platform like iReport that allows you to automate your OSHA logs. That way, you can easily comply with OSHA’s Injury Tracking Application. iReportSource also allows you to quickly submit reports to maintain necessary standards. So many people and departments can end up involved in safety, but it’s time to use a system like iReportSource that allows for an all-in-one workflow. By having one workflow, you can collect, collaborate on, and manage incident reports, tasks, progress reports, and safety activities in one single system. With the right design and standardization of data collection, an all-in-one solution can help drive accuracy and honesty of the report data that you capture. We can sometimes forget how much time can be “wasted” without this in place. All in all, having one system and one workflow is one of the most effective and efficient ways to go from “I think” to “I know” when it comes to all the moving parts related to safety and talent development. Traditionally we’ve seen how HR has only had access to lagging indicators. Those indicators have been based only on injuries that appear on the employers’ experience represented by the mod rate or P&C claims. Leading indicators, on the other hand, let you quickly see your highest risk areas. The benefit is you can more quickly take action to preventive actions to reduce or avoid future incidents or accidents. You have a lot on your plate. By following these best practices, you can show your support of safety while still being able to focus on talent development. With iReport, you can also easily collect the data you need to understand where safety is at today—and where it is headed tomorrow. That way, you can understand your highest risk areas and take meaningful action to prevent future accidents. Learn more about iReport today.